B.S. Enterprises Boutique is tucked away in a nook of Apollo Bandar. 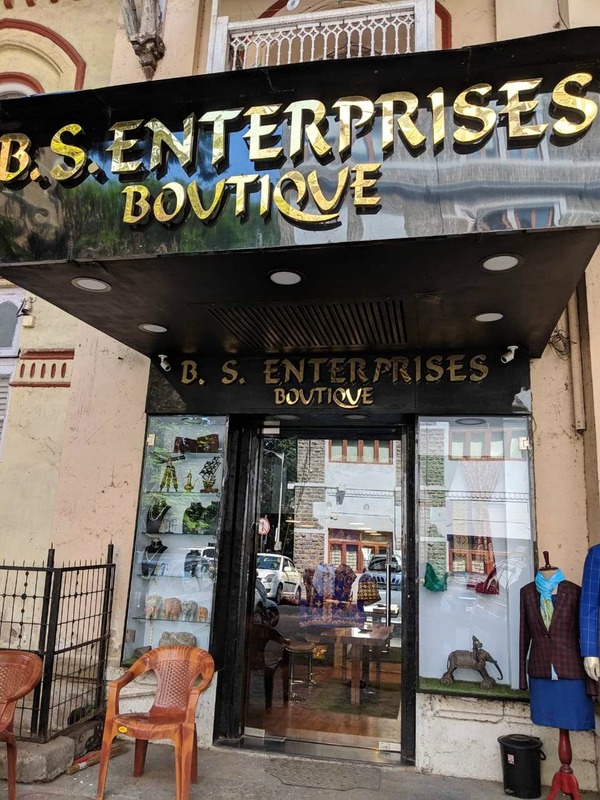 This boutique specialises in bespoke suits for men and women as well as a collection of Kashmiri handicrafts, souvenirs and silver jewellery. If you're planning to get a suit stitched in a hurry, they can accommodate and get you your outfit in just a day. Material varies in pricing, and brocade pricing starts at INR 400. Their handmade Kashmiri jackets are finely embroidered and cost INR 4,500 upwards which is not too bad considering the time and effort that goes into the crafting of the outfit. Most of all, we found the staff to be extremely helpful and friendly. They were happy to explain about where the handicrafts come from, how they are made and show us plenty of options.